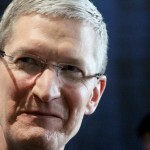 Apple CEO Tim Cook gave a lot away in his recent interview with The Wall Street Journal. Because besides confirming that his company has purchased more than $14 billion of its own stock, Cook also confirmed that Apple is working on some “really great stuff” in new, previously unexplored product categories. We’re not ready to talk about it, but we’re working on some really great stuff. The Wall Street Journal acknowledges that Apple commentators aren’t yet sure whether this new product will be a wearable device (an “iWatch”), or a fully-fledged television. Though if the company’s recent flurry of hires and job postings are anything to go by, it looks like an Apple-made smart watch is in the cards for some point in the near future. Indeed, the latest reports have indicated that the release of Apple’s HDTV product has been postponed until 2015, and that the Cupertino, Calif. company is rather focusing on its wristwatch-style device for 2014. Of course, this isn’t the first time we’ve heard Tim Cook hint that an iWatch is incoming. 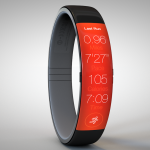 Last year, at D11, the CEO told Walt Mossberg and Kara Swisher that the wrist is “interesting,” and showed off his Nike FuelBand (which he believes did “a great job” of integrating a wearable device with iOS). 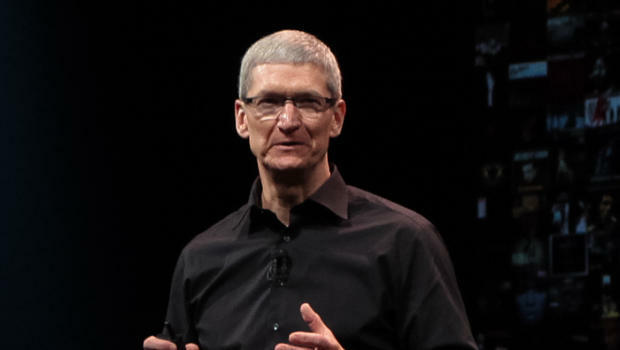 Then, later in 2013, Cook hinted again that “new product categories” could be incoming from Apple in the following year, even if his answer dodged, dipped, ducked, dived, and dodged around the question posed somewhat. One thing is certain, though: this year is definitely shaping up to be an interesting one for iOS device users. What are your hopes for Apple’s anticipated new product categories? See also: Apple Gains Approval To Build Its Most Iconic Retail Store Yet In San Francisco, Apple Requires ‘Interest Age’ For iBooks Aimed At Children, Teens By June, and Following 8 Percent Decline In Price, Apple Bought Back $14 Billion Of Its Own Stock.